Dr Lisa Hecht grew up in Bergen County, New Jersey, and has always been surrounded by animals. Originally wanting to be an “Animal Cop” she found her calling in veterinary medicine at the age of 14. Dr. Hecht attended Lehigh University, where she met her husband and graduated with a degree in Biochemistry, before heading to the tropical island of St. Kitts in the Caribbean for vet school. 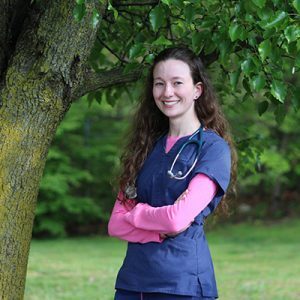 Dr. Hecht graduated from Ross University School of Veterinary Medicine in 2014, with her clinical year at Oregon State, always with the idea of house calls in mind. She is very excited to be a member of the HousePaws Team and bringing mobile medicine to the Bucks County/Philadelphia area. In her free time, Dr. Hecht enjoys spending time with her 2 Kittian dogs, known as “coconut retrievers,” and 4 cats as well as geocaching and traveling.